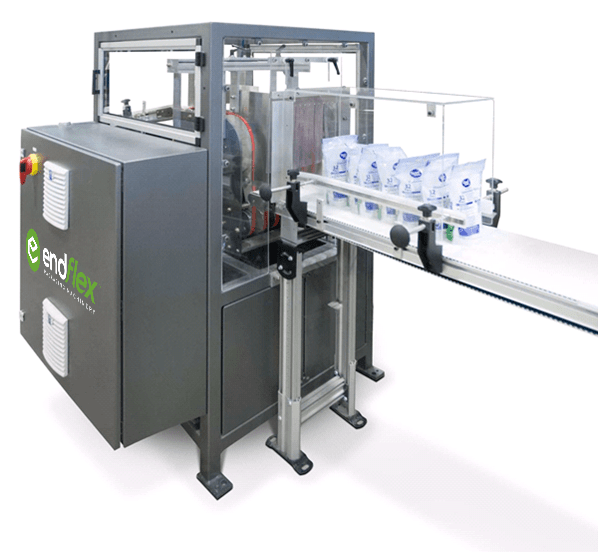 Simplify your manual case packing process with EndFlex’s pouch collator. 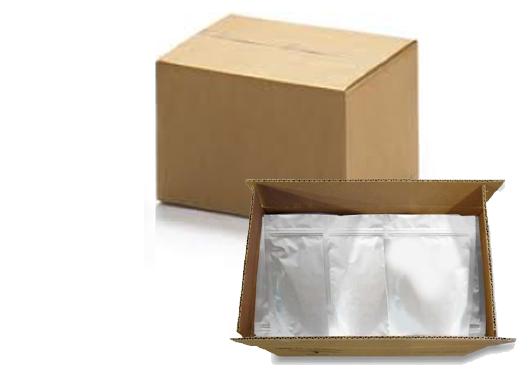 Bags are collated counted, and neatly organized for an easy case packing process. 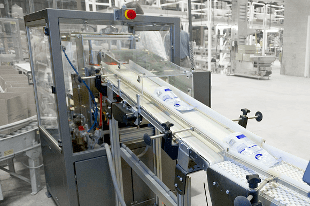 The pouch collator makes packing more efficient and ergonomically friendly by eliminating repetitive twisting motions commonly seen with the traditional turntable pack-off lines. The collator can integrate with any existing automatic pouching machine, vertical form & seal bagger or horizontal form & seal system. Watch the video below and learn how the collator increased productivity at this customers facility. Choose a pack pattern – Conveniently select pack patterns using the color touch screen HMI; eliminating the risk of counting errors. 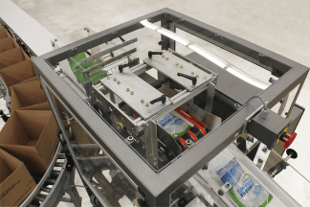 Collator In-Feed – Using a 12-inch wide collator in-feed conveyor; bags are conveyed lying flat from either a horizontal form & seal or a vertical form, fill and seal bagger. 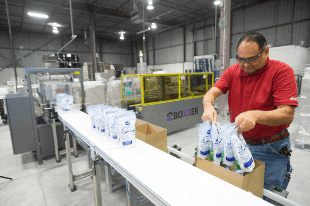 Bag Positioning – Bags enter the collator lying flat. Using sensors located on the side of the collator, the bags are counted and then positioning in the stand-up position. 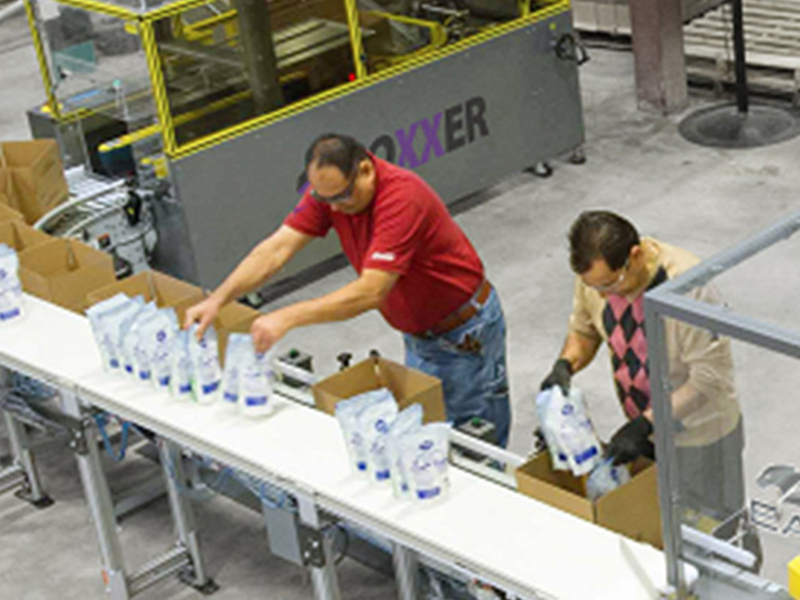 Packing Station – Once positioned, bags are then conveyed to the packing station where operators manually pick and place the bags into a case.